If you are having problems meeting your domestic heating bills at the moment it is worth bearing in mind that the government’s Warm Front scheme is still available to help poorer households with heating and insulation improvements. This will become increasingly important as winter approaches so why not take a look and see if you are eligible to apply. Grants of up to £3,500 are available under the Warm Front scheme to homeowners and tenants renting a private property. 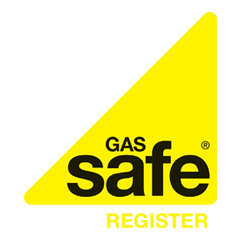 If you do not have access to mains gas the pot is even larger at £6,000. In order to be eligible you have to be living in a house that is poorly insulated and/or is lacking a working central heating system. You also have to be in receipt of certain benefits such as pension credit or an income-related benefit such as Income Support and Jobseekers Allowance (depending on whether you additionally meet further criteria such as having parental responsibility for a child under 16) or Employment and Support Allowance. The scheme can assist you by arranging and paying for, up to the value of the grant, cavity wall insulation, loft insulation, draught proofing or the installation of a new central heating system. The scheme is funded by the government and administered by the energy group Carillion Energy Services. It is limited to householders living in England. If your application is successful you will receive a visit by a Warm Front surveyor who will discuss with you the various options you can take to make your house more energy efficient. If the surveyor finds that the energy efficiency threshold of your home is above that required by the scheme you may still be eligible for other sources of help. A number of changes to the Standard Assessment Procedure have just been announced by the Department of Energy and Climate Change (DECC) meaning that more homes will be eligible. Previously, properties had to have an SAP rating of 55 or below, but that has now been raised to 63. “Changes to the rules on who can get help under Warm Front will mean even more people will be able to keep warm this winter. Warm Front is still very much open for business and it’s easy to apply” Energy Minister Greg Barker said recently. For more information about the Warm Front Scheme you can apply for a grant online or by telephoning 0800 316 2805. Lines are open Monday to Friday between 8am and 6pm and Saturday from 9am to 5pm.